Are you preparing for a competition at the moment? I am currently Offseason, it´s rather a maintenance form so that I will have it easier on the pre-diet and therefore I am doing the best I can to always be in shape. Competition will be most probably possible in fall- I have to be careful because I have an injured shoulder now. 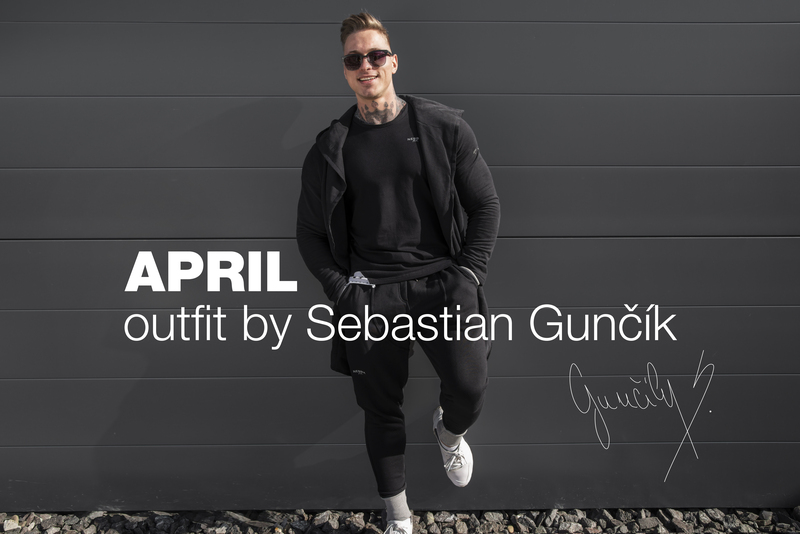 For me it´s one of the most comfortable outfits that you can find there! Both the coat and the pants. The AW pants have a little drop croch, and I have to say it´s not extremely low, so it´s making them really comfortable especially while excercising. The spring coat has a longer cut while the upper part is more tight to the body, so it is nicely shaping the upper part which I bet many of you will appreciate. For me this is an excellent choice and I would totally wear it as a stylish outfit in the city. The last item is a AW Muscle Back t-shirt. This one is more tight to the body and the material is very comfortable and flexible. The cut is unique and extravagant and I have to say that it is a number one choice for whoever that is in summer shape, both to the gym or party. Which body part you like to exercise the most? And which would be the least favourite? I really like them all but again if I had to choose one it would be probably bicep. You obviously train a lot. How does your regular day look like? Typical: I get up in the morning, have breakfast and I go to work to train with my clients and most of the time I train my training in between. After the training I go grocery shopping. Again typical: Meat, veggies, fruit etc., you know how it is. J When I get home I eat and I cook. What would you say? Nothing else than boxes for the next day. JAfter everything is prepared I do some work on a computer, have my last meal of the day and I go to bed. Did you change the preparation after the time you started with competitions? Yes of course, i have changed almost everything from scratch- both food and training and I have to say that I am really satisfied and there is always some change needed. I have changed my perspective and mainly the approach but that´s what most of the people have noticed because it is noticeable on my shape. NEBBIA at the last expo ever! Fake will never be enough. Choose original.